Don't let winter stop you from riding and building fitness for the coming season. Here's some key gear that will help you thrive in the cold. Cold weather doesn’t have to halt your training. Riding outdoors even when the snow is falling has become a more reasonable option than ever with the variety of warm, breathable cycling clothing and wide, grippy tire options. Here’s what you need to maintain your fitness and get through the winter on your bike, whether you’re braving the cold or riding in the basement on your trainer. So you’re ready to get serious about training … like riding-indoors-all-winter serious … like spending $1,200 on a stationary trainer serious? Yes, like many direct-drive smart trainers, Wahoo’s Kickr is expensive. If you can stomach the price and want the best experience riding indoors during snow season, it may be just what you need. It doesn’t look like other trainers. With its distinctive white color and red accents, Elite’s Rampa trainer stands apart. If you’re like us, a trainer becomes part of your home décor in the winter months, so this stylish flair might be a good look for your second bedroom, or wherever you choose to sweat. But is the Rampa’s performance exceptional? We found it was a good, functional smart trainer, but it is not perfect. If realistic road feel is the goal, and it should be, the Rock and Roll deserves a close look. The trainer is connected to its base via a flexible joint, allowing a bike to rock back and forth. The result is a much more dynamic feel, closer to that of an actual road than anything short or riding rollers. That small amount of movement, a bit of natural sway, makes a big difference. If your indoor rides are maintenance sessions rather than training sessions, Bkool’s Smart Pro trainer can help you stave off boredom as you ride in place. As a training tool, it’s less precise, but it’s also a good price point for a stable and fun smart trainer. With a good internet connection and a premium subscription to Bkool’s simulator, you can ride with friends (you’ll have better luck if your friends live in Spain, where the company is based, and where most of the live riders in the virtual setting are riding) or race against ghost competitors. We like the Bkool to stave off winter spinning boredom, but it’s easily hindered by sometimes-clunky graphics, especially if your internet connection is weak. Therein lies the magic of the Performance Index (PI), a component of online training platform Today’s Plan. 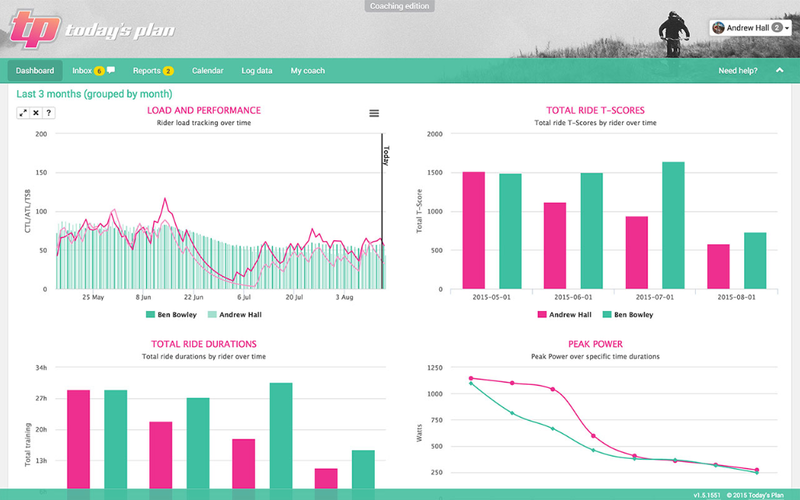 It’s a single-number score that distills your power data over a period of time. Roll’s Recovery R8 deep tissue massage roller is for athletes who want to take their recovery game to the next level without the cost of a personal massage therapist. The roller helps reduce inflammation and breaks up muscle adhesions to combat soreness and stiffness caused by tough workouts. If you’re looking for a little extra training motivation this winter, look no further than the Sufferfest’s high-intensity training videos. 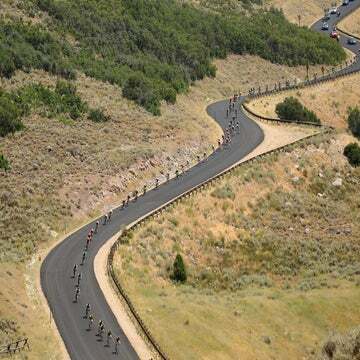 These online and app-based videos provide structured workouts designed by world-class coaches and are paired with officially licensed UCI race footage for added motivation. 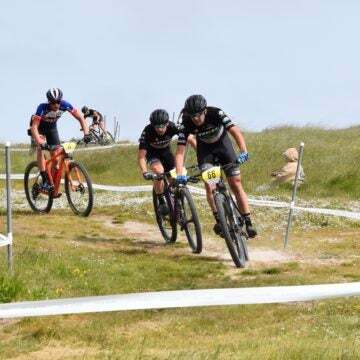 Want to round out your cycling fitness this winter with strength work and cross-training but not sure where to start? Skulpt’s Chisel scanner helps athletes identify their physiological strengths and weaknesses by scanning different muscle groups and developing personal training plans to target weaker areas. With cold and wintery weather comes more time on the trainer and indoor workouts. This also leads to loads of sweaty, stinky cycling gear crumpled up in the laundry basket. To tackle the stink of indoor training, Febreze’s in-wash odor eliminator targets tough smells to keep your cycling clothes fresh and odor-free every time you suit up for another trainer ride. 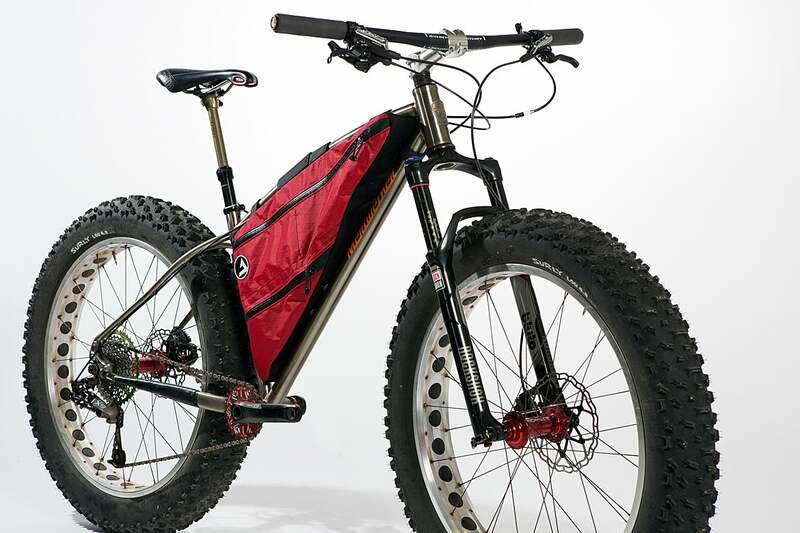 Maybe the fat biking mania has come and gone, but that doesn’t make those massive tires any less useful when the snow flies. Its greatest use: keeping you off the trainer and on a real, moving bike. You can ride just about any mountain bike in the snow, but few are as fun as these monsters. In hard-packed snow, the wide contact patch allows for confident cornering. And even if you don’t get snow for your fat bike ride, those big tires are nothing but fun as you straight-line dirt singletrack. Our custom Meriwether Cycles fat bike sure is super cool, but you can get into the game at a lower price with something like Framed’s Minnesota 1.0 fat bike for a mere $700. These soft water bottles were developed for runners, but cyclists can capitalize on these squishy bidons too. 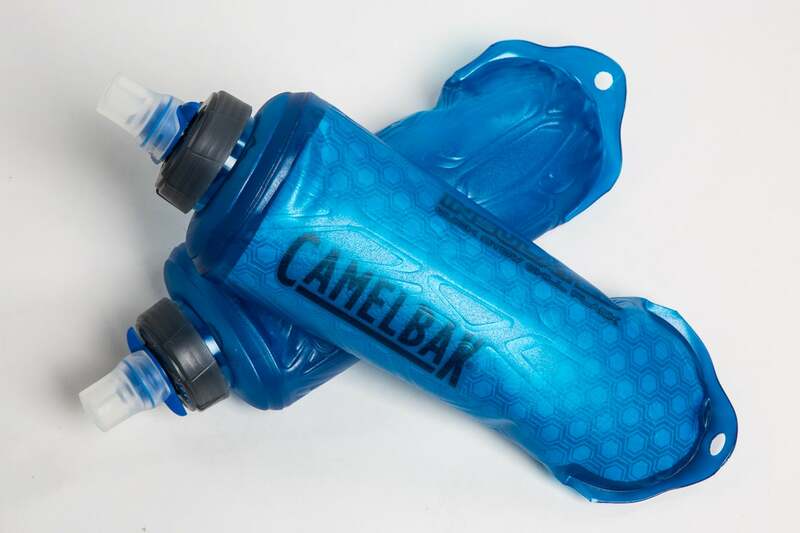 They’re made from the same material as Camelbak’s Crux reservoirs, so they’re lightweight and collapsible. You can stow them in your backpack easily when you’re done with them, and they’re sized perfectly for stuffing in your jersey pocket. On cold rides, keeping your water closer to your body heat can help prevent freezing, too. The silicone bite valve releases a steady stream for on-the-go drinking, and cuts off flow to prevent leaking when not in use. Don’t mistake these for ski goggles; these mountain bike-specific goggles from Smith offer a sleek fit and plenty of venting so you don’t fog up during hard efforts in the snow. The lenses also have an anti-fog treatment. 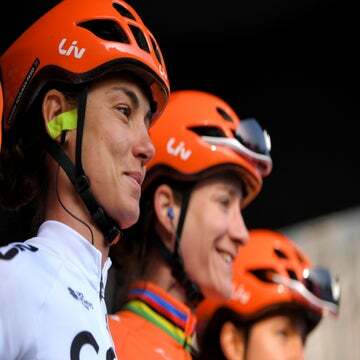 They fit nicely under a bike helmet but you could tuck them under a ski helmet too for really nasty weather. The medium-fit frames integrate with a wrap-around lens that offers a clear field of vision even in your periphery. 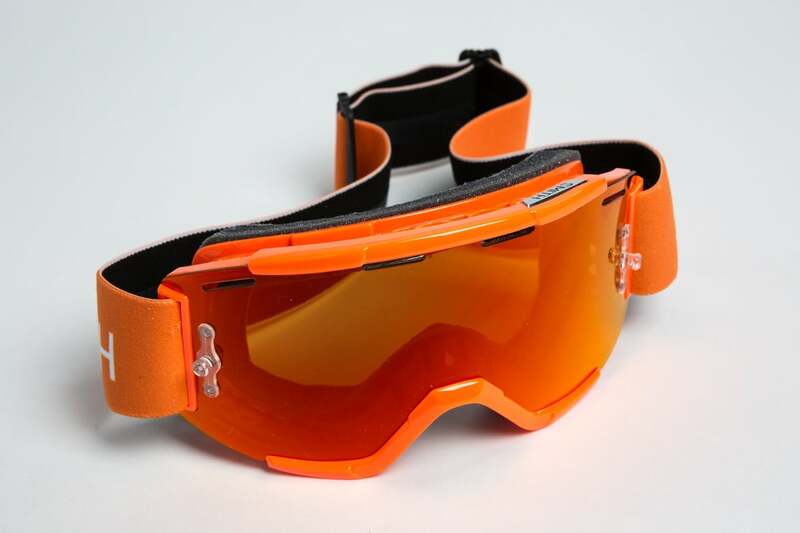 They’re year-round googles, too: If you’re into enduro and lift-service, you’ll like the Sweat-X F.A.T. 3-layer face foam that helps keep sweat out of your eyes. The Flashpoint is super lightweight at 185 grams, and packable, so it won’t take up much space in your frame bag or jersey pocket. 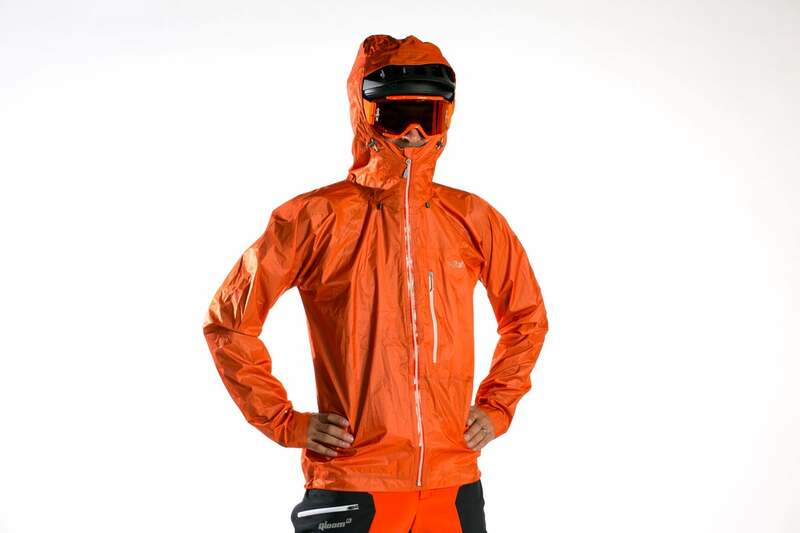 Don’t expect any insulation out of it, but it’s waterproof for ugly winter weather and the hood is helmet-compatible. There’s room for layering underneath, yet it has a slim cut to keep flapping at bay. If your rides take you deep into cold, wet, unpredictable weather, opt for the heavier-duty Muztag jacket ($300) instead. 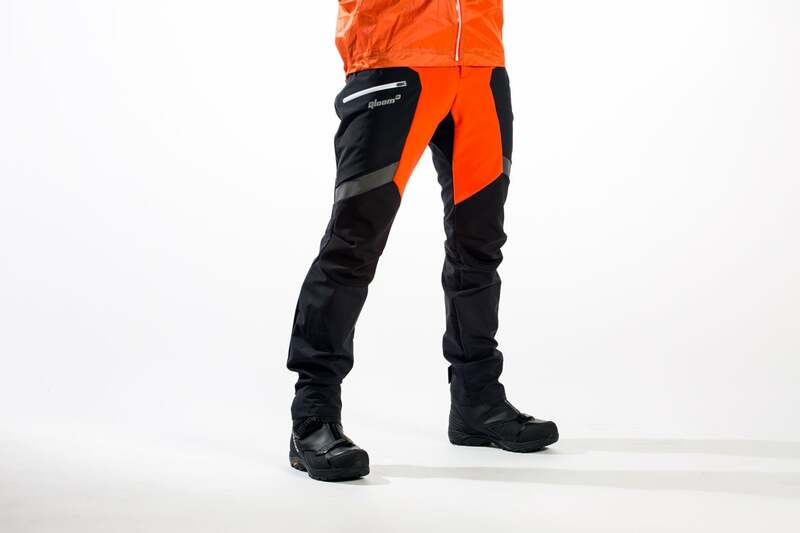 We like the Steele pants because they offer winter protection in a comfortable, soft shell material. The rear, crotch, and lower legs are made from a waterproof three-layer fabric to keep you dry, while the front panels are made from soft, stretchy Polartec Power Shield fabric for warmth. The bib tops offer an added layer of warmth without bulk, and they zip off if you’d prefer to ride unencumbered; Velcro adjustments at the waist keep your pants up sans-bibs. The cut conforms to your legs, tapering from the knees down, but there’s still plenty of room for a base layer beneath. 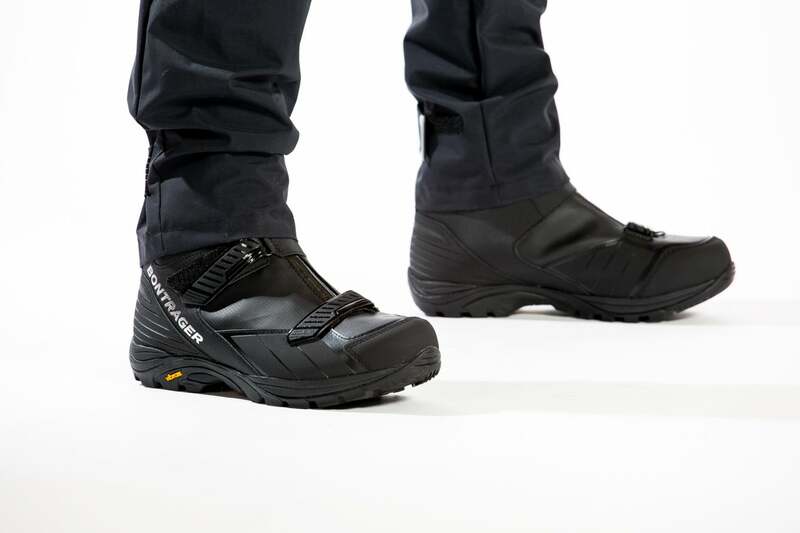 For all but deep-freeze days, Bontrager’s OMW shoes are likely overkill. That’s no accident: With Wisconsin winters as inspiration, Bontrager has made cold feet the enemy. These shoes seal your feet in a 100 percent waterproof OutDry upper that extends well over the ankle to protect you when you step into deep snow. A Vibram sole offers plenty of grip on various surfaces including dirt and ice too. There’s plenty of room inside the boot so you can wear thick socks or even cram some toe warmers inside, though we found the removable inner boot, with its Thinsulate insulation, plenty warm even in frigid temperatures. You’ll probably be riding in low light at some point, so add a Bontrager Ember light to the straps on the rear of the boots for added visibility. Chances are you’ll be tearing off layers as your body heats up, and you won’t be stowing that rain shell in a jersey pocket. A frame bag from J.Paks is just the ticket: the narrow profile that tapers from the front to the back stays out of your pedal stroke path, and it’s got plenty of storage for big fat bike tubes and that bulky rain shell. The frame bag attaches to the frame via big Velcro straps as well as water bottle mount screws; this thing isn’t going anywhere. Internal modular panels let you customize your gear layout too. These are handmade in Denver, Colorado, and they’re fully customizable; just tell Joe what you want your bag to do and he’ll make it happen. If you buy only one piece of gear this winter, be sure it’s a set of Bar Mitts. These five-millimeter thick neoprene covers attach to your handlebars and protect your hands and wrists from wind, cold, and moisture. There’s even a six-millimeter thick, fleece-lined version for extreme cold. Zippers at the front of the mitt allow for ventilation on the fly. 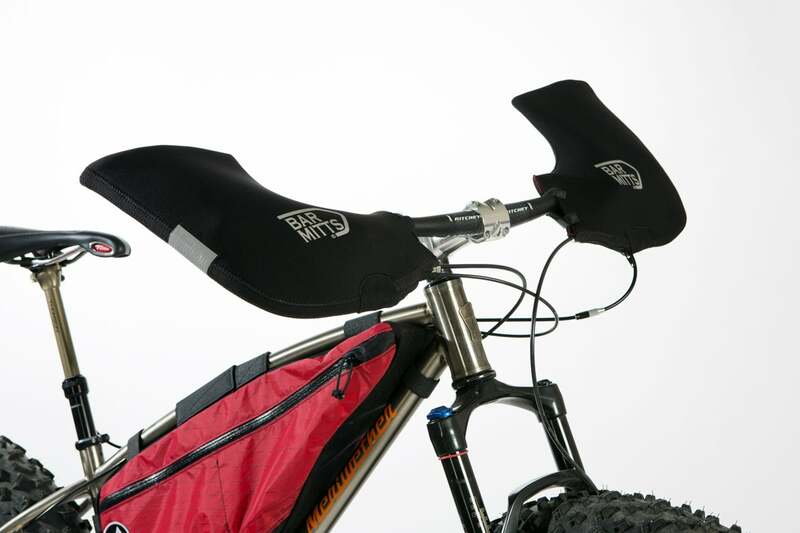 The regular version comes in three sizes to accommodate various handlebar sizes, and there’s a drop bar version in addition to the flat bar version shown here. Michelin’s Power All Season tires are our go-to choice for difficult riding conditions like wet and slippery winter roads. The tires have a new rubber compound mix that Michelin says provides 15% more grip than the company’s previous line of premium road tires. The new mix works at lower temperatures so you’ll stay glued to the ground even when winter hits and the roads get colder. Bontrager’s Meraj Softshell gloves are toasty warm for cold weather riding but they don’t feel bulky and cumbersome like most winter gloves we’ve tested. They use 3M’s “Thinsulate” synthetic insulation to minimize the gloves’ profile without sacrificing warmth and protection from the elements. The sleek and stylish Perfetto jersey is a deceptively warm and versatile top that will get you through the deep winter freeze this season. 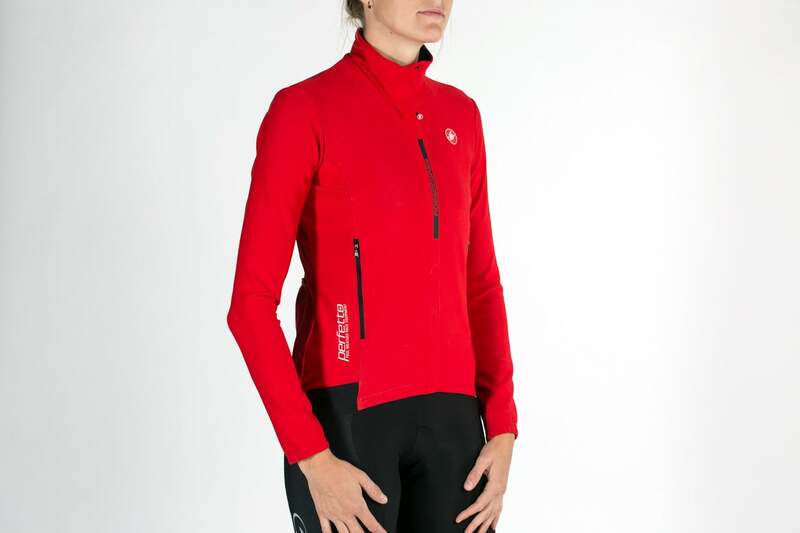 The long sleeve jersey is built off of Castelli’s short sleeve water resistant Gabba platform, offering superb protection from the elements without the bulk of a heavy winter jersey. Winter bib tights are a must-have if you plan on braving cold and snowy conditions this season. Tights offer full-length protection from the elements and Sportful’s Fiandre NoRain tights are some of the warmest, most weatherproof tights we’ve tested. Bontrager’s Beanie might look plain and unassuming but there’s a ton of warmth and protection tucked away in this tiny package. Made from a Marino wool blend, the beanie insulates against cold temperatures but it’s breathable so you won’t overheat if the temperature starts to rise. The soft and lightweight material also wicks moisture away from the skin so you won’t get wet and clammy when you start to sweat. Winter training can get extra messy with wet and sloppy roads or sweaty indoor trainer sessions. Muc-Off offers an assortment of brushes, cleaning tools, degreasers, and lubes to make washing and maintaining your bike easier and more efficient this winter. Sportique’s warming up cream is packed with stimulating essential oils like capsicum, cajeput, and camphor that warm and invigorate your body before heading out for a cold ride. But the cream does more than just make you feel warm. Sportique says it physically helps accelerate local blood circulation and stimulate muscles so you feel warmed up and ready to pound on the pedals as soon as you hit the road.